Kashmanis Z litter expected mid April 2018! - Kashmani uppfödning av salukis och shetland sheepdogs (shelties). Karin Hedberg. FCI internationell exteriördomare hundutställningar. Kashmanis Z litter expected mid April 2018! 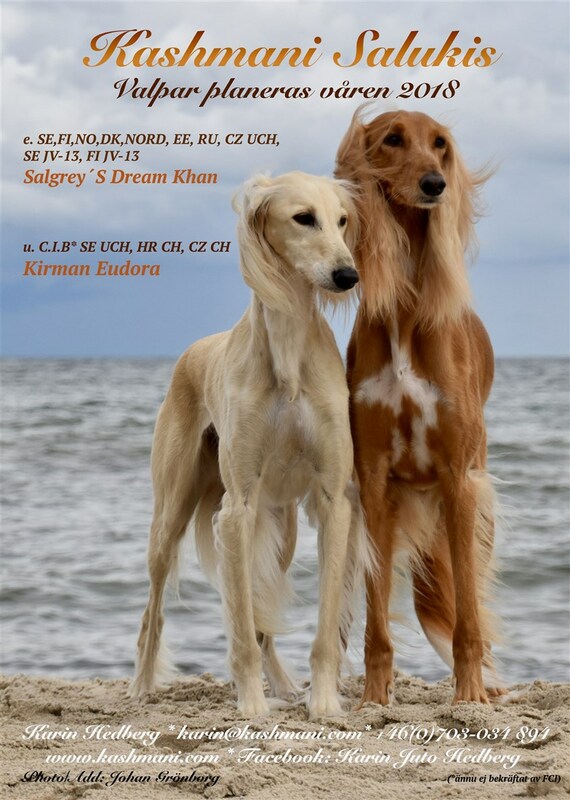 Ch Kirman Eudora and Ch Salgrey'S Dream Khan were mated February 9 and 11. I will make an ultrasound check at the veterinarian in the middle of March to see if Eudora is pregnant. We are so excited about having puppies at home again, after a long break!